The goal of every manufacturing business is to be as efficient, innovative and flexible as possible. An effective manufacturing operation can offer its customers a wider range of services and products, thinks about its employees wellbeing, has healthy financial indicators and is able to adapt to the changing environment. Different manufacturing companies have different objectives and targets. No matter what they are, to understand whether the company is moving in the right direction it is crucial to be able to track all of the changes happening. 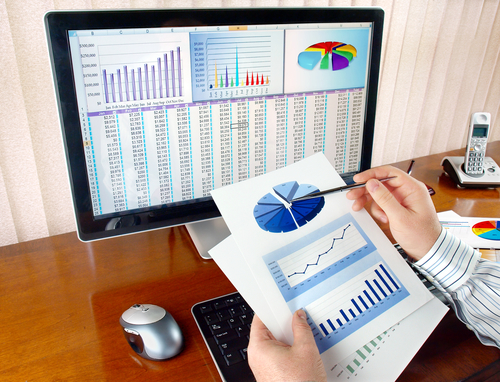 What are manufacturing performance measures? The best way to track whether the company is moving in the right direction is to employ different types of manufacturing performance indicators, also known as KPIs (Key Performance Indicator). Manufacturing performance indicators help the manufacturer to reach its strategic and tactical goals in the long and short run. The use of indicators helps the manufacturer to better understand the current situation and help evaluate the effectiveness of strategy implementation. In general, the goal of manufacturing efficiency indicators is to track the performance of operations in different areas. These areas can vary in different companies, depending on the current circumstances at any given time. Another thing to keep in mind is that effective indicators must be both measurable and actionable – there should be a clear understanding what is measured, how it is done and what actions can lead to the improvement of the indicator in the future. KPIs are never constant. They are constantly changing. Some measures are more important during one period of company developments when this period ends, others become more important and need to be focused on. For example, for a new manufacturing operation, it is important how fast it can ramp up production volumes and keep this momentum going. In case of increased number of customer complains the manufacturer has to turn extra attention towards the quality of the products and its yield. The situation for each manufacturer is unique and to find the list of metrics that would be equally relevant and important for all companies is a difficult task. After carefully analyzing all of the measures in the study, we have chosen the top 10, which in our opinion is must have for every manufacturing operation, big or small. Manufacturing Cost per Unit – calculated by dividing the total number of units produced by their production cost, excluding material spending. The number shows how effectively the current resources are utilized, whether human resource and equipment usage cost is on track. Productivity in Revenue per Employee – Similar to the previous indicator, productivity per employee is calculated by dividing all generated revenue by the number of all employees. This can be calculated on several levels, on a company level, on a department level and even production line level. Revenue per employee shows areas with the lowest and biggest ROI. Downtime in Proportion to Operating Time – calculated as the ratio between the time production lines was stopped and time when they were operating. This ratio is a direct indicator of asset availability for production. The lower the number, the more efficiently manufacturing equipment is used. If the ratio is 0.5 this means that the production lines were stopped half of the time. Incoming Material Quality – the quality of materials usually determines the quality of the end product. If the quality of materials supplied is low, spending for product repairs is increased. This means extra cost to the manufacturer. This can be calculated also in different ways: by supplier; by product category; as a percentage of faulty materials vs good materials. On-Time supply – calculated as the difference between purchasing orders delivered on time and late orders, then divided by the number of total orders. 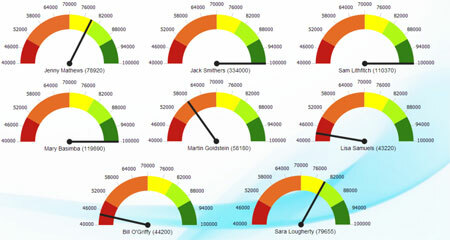 Tracking this KPI helps to understand whether the supplier is reliable or not. On-Time delivery – tracking this KPI helps to understand whether the product is shipped as promised or with delays and helps to prevent conditions where customers would leave unsatisfied with the service. It will also help to identify possible issues in customer logistics. Yield – in simple terms, measures the level of product quality. It is the number of good units without rework or scrap coming from the production line. High yield means all elements of the manufacturing process are working fine and there is no issue with material quality, workers qualification or equipment. Low yield might mean that there are problems somewhere during the manufacturing process. This is one of the key metrics that signal that something is wrong and a closer investigation into the process is needed. Capacity Utilization – shows at which rate manufacturing facility is using its production capacity. In simple words, whether its production capacity is used effectively or not. It is a relationship between actual output, that is actually produced with installed equipment and potential maximum output, that can be produced with the same equipment. The higher the rate, the more efficiently equipment is used. Schedule or Production Attainment – the ability of production to execute a plan. In manufacturing, planning plays a very important role. The more complex manufacturing processes are, the more important is the ability to execute the plan, but also it is more difficult to achieve. Matching the schedule of production to produce a certain amount of output according to the plan is very important if the manufacturer wants to meet the expectancies of the customers and corporate strategy. This performance indicator can be calculated as the difference between planned output and real output, divided by planned output. Inventory turnover control – extra inventory means tying up valuable financial and real estate resources. The main idea of manufacturing is to use its space for production, not for storing extra materials and components. The higher inventory turnover rate is, the more efficiently supply chain is built. Inventory turnover rate can be calculated as the number of days materials haven’t moved from warehouse storage to production. The targets depend largely on manufacturer specific needs, but as the general rule, the turnover over 30 days could be considered as a long period. 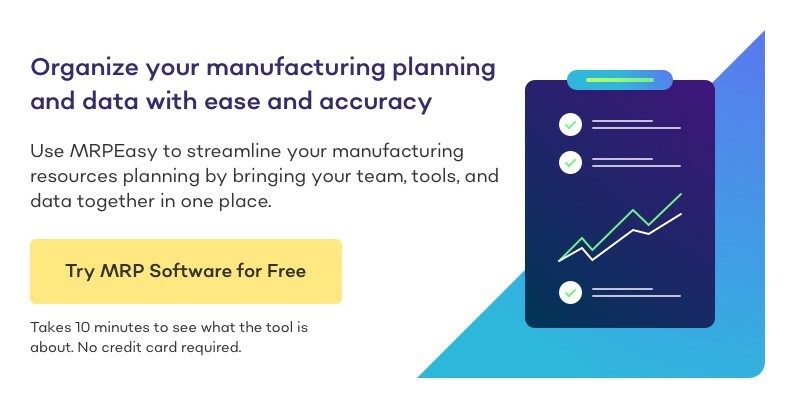 In manufacturing, where there are many outside influencing factors, tracking the performance of an operation with KPI metrics means the difference between success and failure. It is very important to keep in mind, that manufacturing metrics by themselves can’t solve the ongoing issues. They act more like a roadmap and a compass, showing whether the operation is developing in the right direction. After identifying the problem and what causes it, it is very important to start taking actions and continuing measuring the effectiveness of these actions with performance indicators. 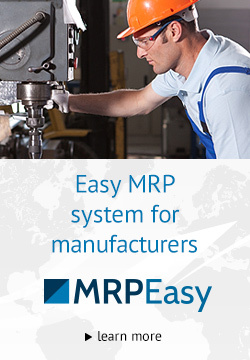 These actions can be absolutely different – from implementing a just-in-time material flow process to reduce inventory levels, to installing MRP software that will let you have full overview and control over all steps of the manufacturing process. The main thing that actions are taken and there is a specific manufacturing metric it can influence.